When the FBI appeared before a magistrate judge in Southern California and demanded unprecedented powers to reach into your pocket to hack your prosthetic brain, I’d been working at EFF for about six months. One rarely knows in the moment which ones will prove to be momentous, or particularly memorable, but the controversy sparked by Apple’s powerful resistance to the FBI’s latest power grab thrust our work into the center of public attention for weeks. [T]he FBI’s demands reflect a familiar pattern of security agencies leveraging the most seemingly compelling situations—usually the aftermath of terror attacks—to create powers that are later used more widely and eventually abused. The government programs monitoring the telephone system and Internet, for example, were created in the wake of the 9/11 attacks. Those programs came to undermine the rights of billions of people, doing more damage to our security than the tragic events that prompted their creation. The power to force a company to undermine security protections for its customers…has very significant implications both for technology and the law….The next time an intelligence agency tries to undermine consumer device security by forcing a company to develop new flaws in its own security protocols, the government will find a supportive case to cite where before there were none. 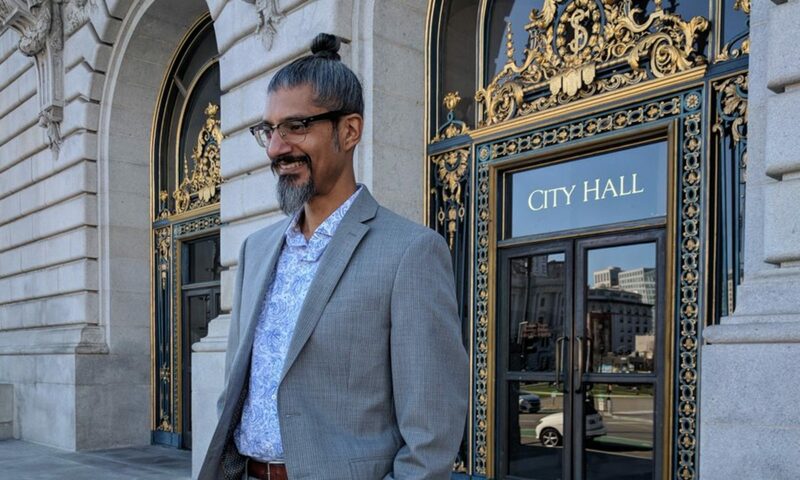 “We’ve seen this before,” said Shahid Buttar, director of grassroots advocacy for the Electronic Frontier Foundation, which is based near Civic Center. “Intelligence agencies have a habit of construing their powers as synonymous with national security. But we know that national security includes device security. It includes security of the ways that we track our information, the ways that we communicate with our friends, and neighbors and lovers, our political allies. 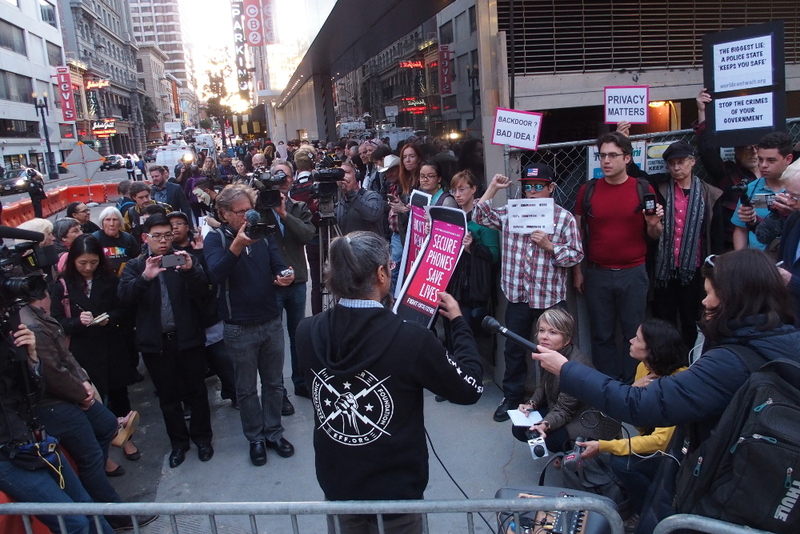 These issues, for some people in the world, are quite literally matters of life and death.” Buttar told us many in the San Francisco LGBT and ally community are concerned about device encryption, because it is often the safest means of communication for LGBT people in repressive countries. On Thursday, Apple filed its motion to vacate last week’s controversial judicial order requiring it to undermine device security for its iOS operating system. The company’s filing explains in compelling and forceful terms not only how the government demands to which it responds would undermine national security and place millions of people at risk, but also why the FBI has chosen an inappropriate process through which to seek a groundbreaking new power that Congress has sensibly never granted. [D]iscussions of encryption and anonymity have all too often focused only on their potential use for criminal purposes in times of terrorism. But emergency situations do not relieve States of the obligation to ensure respect for international human rights law…. States should not restrict encryption and anonymity, which facilitate and often enable the rights to freedom of opinion and expression…. States should avoid all measures that weaken the security that individuals may enjoy online, such as backdoors, weak encryption standards and key escrows.